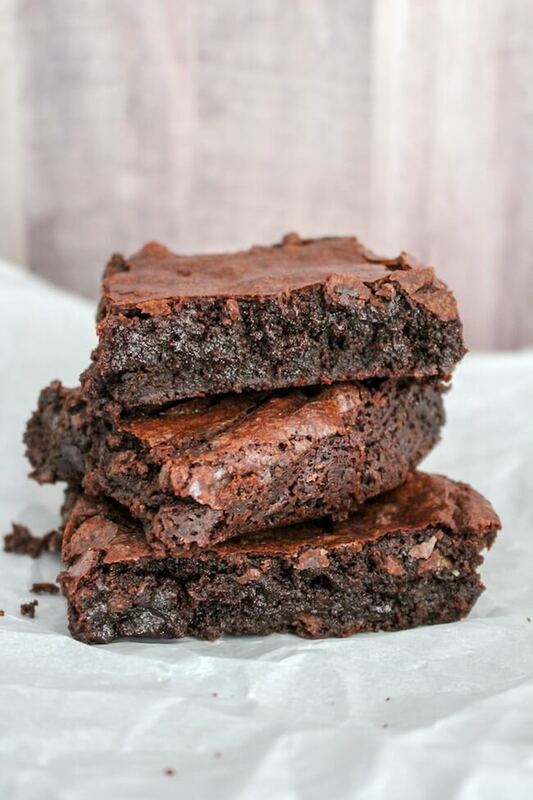 Absolutely perfect fudge brownies from scratch. Simple as that. 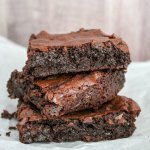 If you take a look at the desserts section on my website, you may notice that there are quite a few brownie recipes. 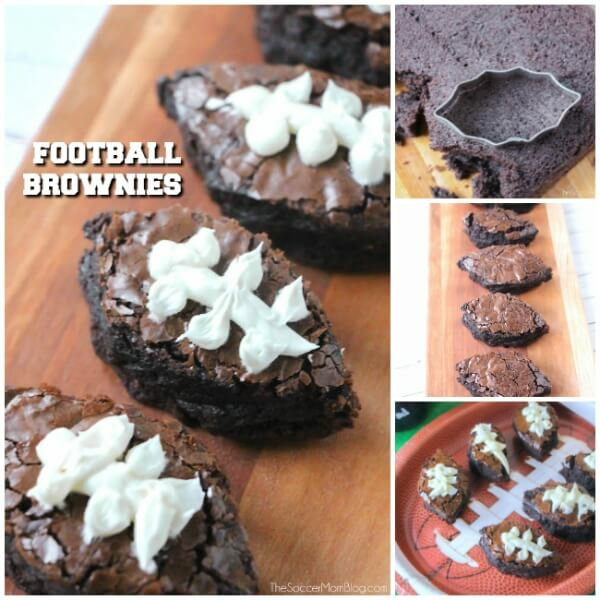 That’s no accident…I sort of (ok, totally) have a thing for brownies! However, as much as I love all those other brownie recipes, I’m generally a brownie purist. 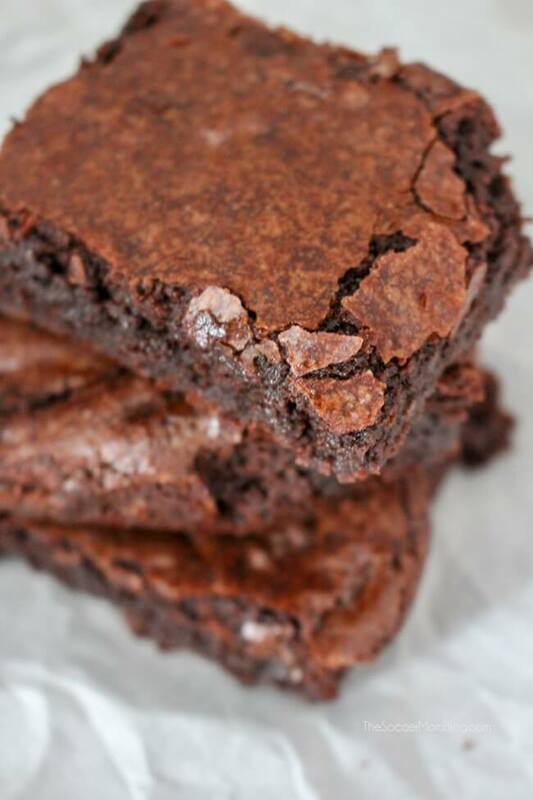 To me there’s nothing better than rich, chewy, fudge brownies from scratch. They’re pretty much perfect on their own! Aside from the moist chocolate fudge interior, I’m in love with the chewy edges (my favorite part of the whole brownie) and the flaky crust. Absolutely perfect. 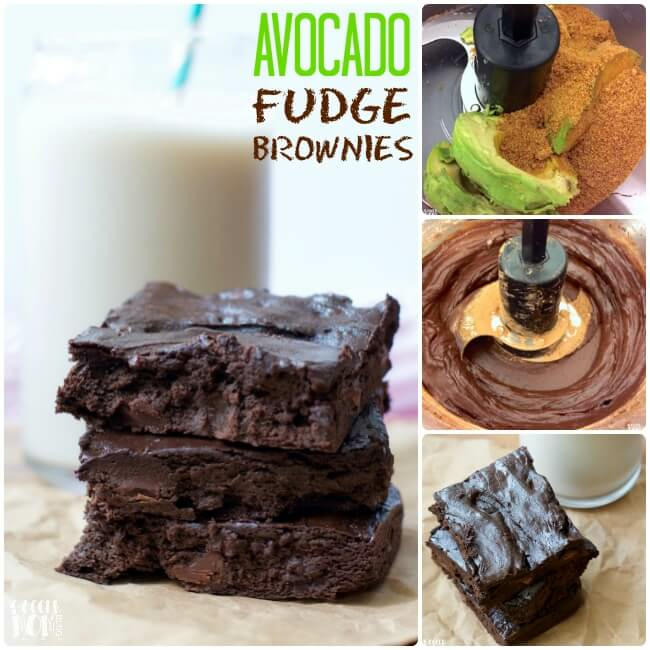 So to all my fellow fudge brownie purists, this one’s for you! 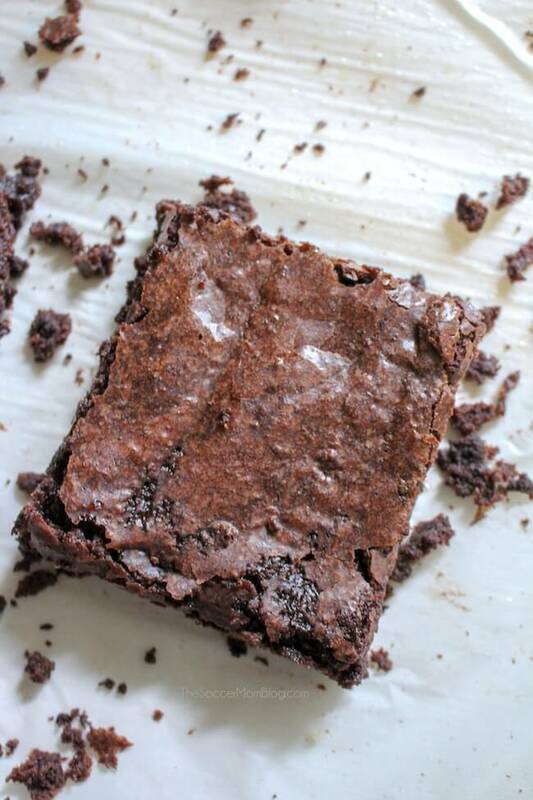 For your convenience, I’ve included shop-able ad links to some of the products used to make our brownies from scratch; read our disclosure policy here. First, watch a quick demo video how to make the perfect brownies from scratch, then keep reading for photo step-by-step instructions and prep tips. 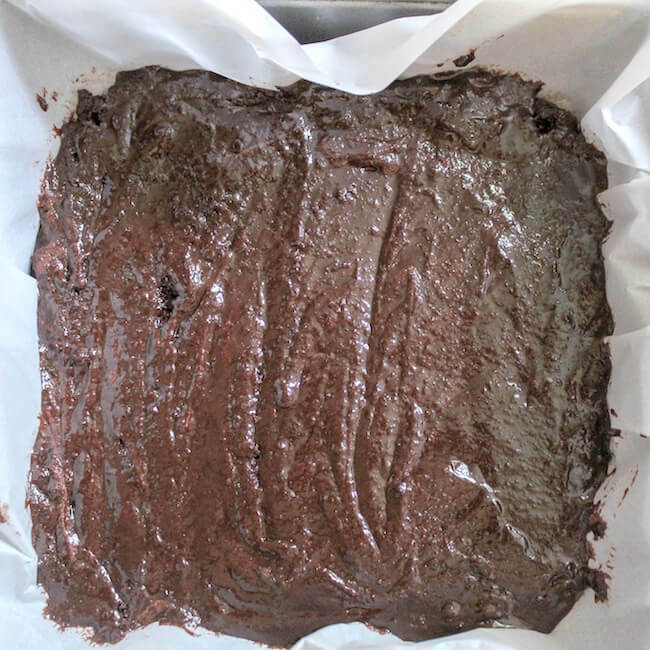 There’s also a free printable copy of our fudge brownies recipe at the bottom of the post. Preheat oven to 350°F and line a 9×9″ baking pan with parchment paper. Melt chocolate chunks in a medium saucepan along with water and sugar. This is the “secret” ingredient for extra super fudge-y brownies! Meanwhile, in a mixing bowl add the rest of your brownie ingredients and stir together until just combined. …BUT the chocolate chips melt while baking and cook into the brownies for little pockets of heavenly chocolate goodness! When your chocolate mixture is melted, remove from heat and allow to cool slightly. You just don’t want it to cook the eggs when you add to your mixing bowl. Once the chocolate sauce is about room temperature (or slightly warmer), go ahead and pour into your mixing bowl and whisk together until you have a thick, chocolate-y batter. Now you’re ready to bake! Pop ’em in the oven for 40 minutes, then allow to cool before cutting. 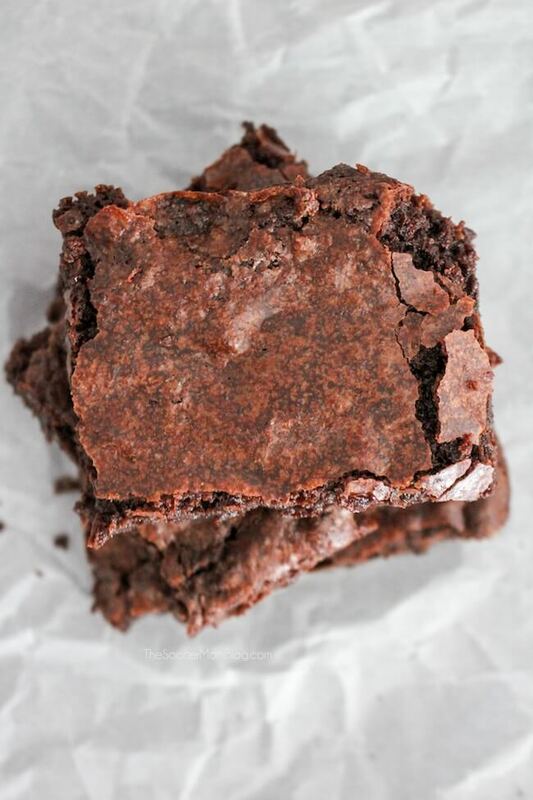 The perfect fudge brownie recipe for brownie lovers! Preheat oven to 350°F and line a 9x9" baking pan with parchment paper. In a medium saucepan, combine sugar, water, and chocolate chunks, stirring until chocolate is melted. Remove pan from heat and allow mixture to cool (but not harden). 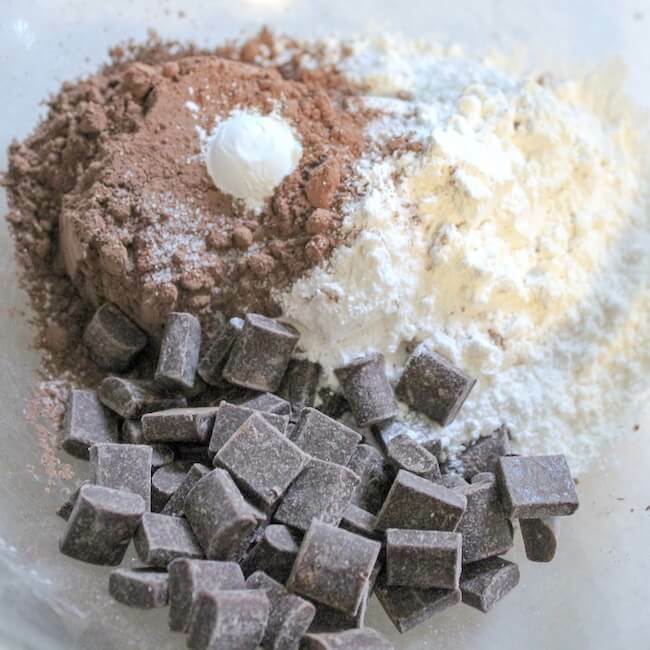 Add flour, cocoa powder, chocolate chips, baking powder, and salt to a mixing bowl and stir to incorporate. Add eggs and vanilla and mix until just combined. Pour melted chocolate into mixing bowl with the rest of your ingredients and mix until well incorporated. 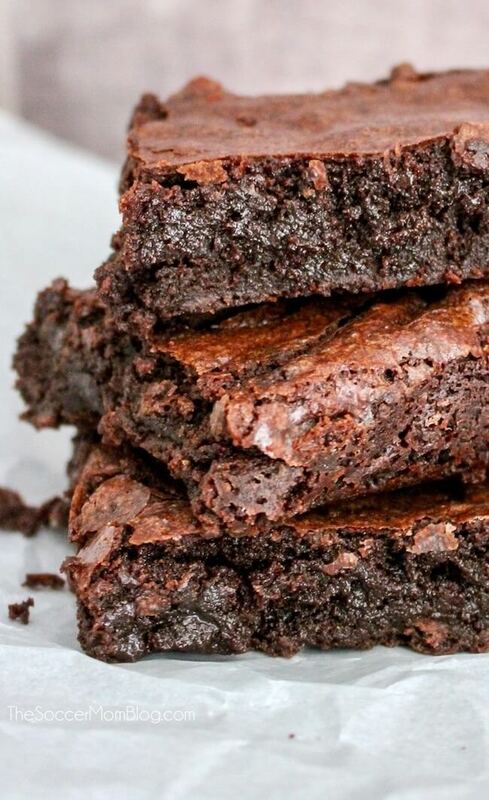 Pour brownie batter into baking pan and bake for 40 minutes at 350°F. « Do Postpartum Belly Bands Work?